A Real 50s Les Paul for only €1,500! 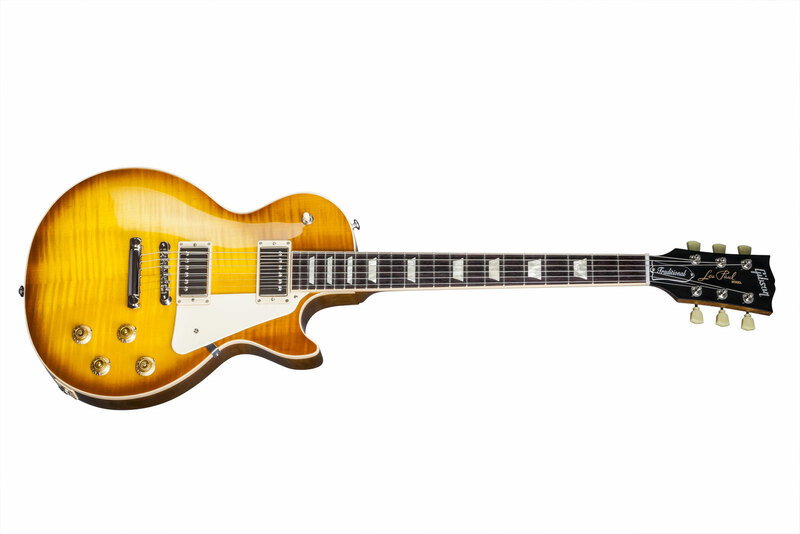 Les Paul Traditional 2017 T, LP-Shaped Guitar from Gibson in the Les Paul series. Which amplifier and/or effect(s) do you use with this guitar? What playing and musical style(s) do you play with this guitar? What are your thoughts on the workmanship, electronics, and finish of this instrument? How is its intonation? Does its neck, touch, feel, shape, etc complement your playing style? Workmanship quality is excellent, I know that a lot of Gibsons have finish problems with the lacquer, the body/neck junction and so on but mine was flawless when I unpacked it. It’s heavy, and I like it! The body is a non-weight relief (no hole in it, it’s 100% solid mahogany), the wood resonates even when not plugged, the neck is round and particularly comfortable to me. I’ve played ans owned quite a few Les Pauls (Epiphones, Studio, Classic, Standard...) and I must admit this one managed to surprise me for its playability and –most important– its sound and finish (I’ve been the unlucky owner of a 2008 Standard back in the days, the finish was awful). The guitar comes in a case with a fingerboard protection, a multifunctional tool to set it up, a strap, and a picture of the guitar out of the workshop, while it was being set up. A big flaw in my opinion is the lack of a poker chip (the cream-colored chip which is usually around the pickup selector). I had to buy one separately for 5 bucks, as without it I find Les Pauls ugly (granted, it’s only a question of taste). Tuners are Kluson Vintage models (they stay correctly in tune except for the G as usual, but that’s because of the way the Gibson head was designed, not a problem with the tuner). The Tune-o-Matic is an ABR, like on vintage Gibsons. Do clean, crunchy and distorted sounds adapt well to different microphone positions? Are the guitar's different frequencies and sounds well-balanced? All the sounds produced by this guitar are impressive. The pickups are a Burstucker 1 (neck) and 2 (bridge), both AlNiCo 2 pickups. In high gain, the sounds are clear and well-defined while retaining their fat character. Big, complex chords are intelligible, the guitar has an incredible CHUG and the sound retains a vintage – yet heavy-sounding – identity. For a modern-vintage sound, the Burstbuckers really do an awesome job. Granted, there’s no split offered but the volume knob is very efficient and the Orange Drops capacitors as well as the 50s cabling allow to lose no highs or definition when lowering the volume. In clean sound, you get a very round, warm sound while the chords are still very articulated. Arpeggios resonate frankly, and the clean sound in itself is awesome if you like the Gibson sound signature (yeah, of course, it’s not a Strat clean played into a Twin). I love my cleans right on the verge of breking up, and the pickups allow to get from a deep clean to crunchy clean in a breeze. What are the pros and cons of this guitar? This guitar is perfect for me. 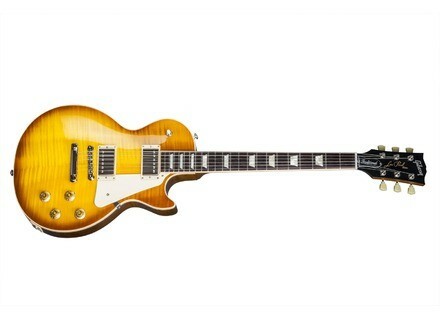 It’s not as fancy and modern as the new Standard models with their splits and various pickup options, but it’s much more true to the Les Paul SPIRIT. The Burstbuckers 1 & 2 are a nice surprise. I used to own Burstbucker Pros (I really hate them), so I expected a similar sound put these are PAFs with a slightly bigger output, way more versatile and with a more mids-oriented focus. In the end, I’ll say that this Les Paul is aimed at vintage fans, those who love heavy, fat-sounding guitars. To men a Les Paul of such a quality for such a low price is a real steal, so go ahead and get it, you won’t regret it!